Tammy Dee Widger's charges in the fatal shooting of Clinton, MO, Officer Ryan Morton last month have been amended and now include first-degree murder, the Henry County Prosecutor's Office said Wednesday. Widger also now faces two counts of first-degree assault. She originally faced second-degree murder and drug charges, reports the Kansas City Star. First-degree murder carries a maximum penalty of the death sentence or life imprisonment without the possibility of parole. Officers responded to Widger's home in Clinton by mistake in early March after a 911 call was made 20 miles away. 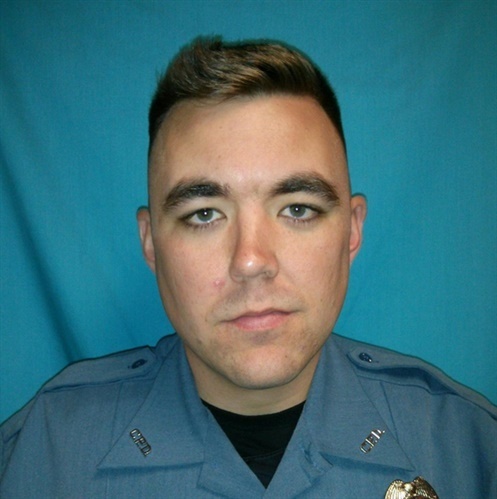 James Waters fatally wounded Morton and injured two other officers in a shooting, police said. "Although it is believed that James Waters actually shot the three police officers," the Henry County Prosecutor's Office said in a release, "Missouri law provides that if an accessory to a crime ... aids another person in planning, committing or attempting to commit the offense, the accessory may be charged with the same offense." The release added that aiding can occur either before or during an offense.